Wooden spoons are a catering essential for any busy commercial kitchen and even for domestic chefs at home! A wooden spoon is among the most useful items a kitchen should have. Suitable for making a huge variety of dishes, wooden mixing spoons are often the first utensil a chef will reach for, and the last one to be put away. At Pattersons Catering Supplies, we know how important wooden spoons are and for that reason, we have gone to great lengths to find the very best wood spoons for all types of chef. Whether you're looking for a certain length, a certain type of wood, or a certain price, our range of wholesale wooden spoons has something for you. Many of our wooden spoons are waxed beech wood for increased durability and hygiene but we also stock traditional non-waxed wooden spoons. 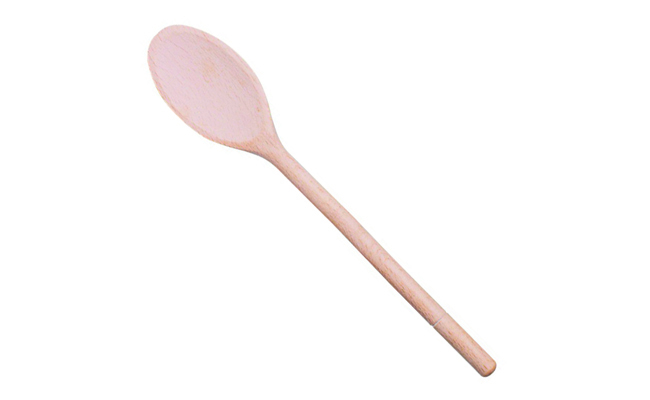 So if you are looking for a cheap wooden spoon or a long lasting mixing spoon then we have a wood spoon for you! Our huge range of kitchen utensils includes wooden spoons which you can bulk buy for your kitchen. But they are so much more than a simple cooking utensil! Our range of spoons sells well to schools looking for wooden spoons for craft work as well as the egg and spoon race! We’re not joking these wooden mixing spoons really do! Pattersons Catering Supplies stocks an extensive range of wooden mixing spoons as well as a huge range of cooking utensils for professional chefs. Find out more about our huge range of serving & cooking utensils online. Buy your catering products in bulk and save £££s!